The Ridiculously Awesome Movie Adventure Blog A fun-filled emporium of geek reference!! 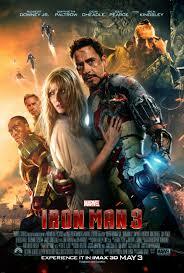 Iron Man 3 Ridiculously Awesome Review! Well everyone, Summer 2013 starts with a repulser blast as Iron Man 3 kicks off blockbuster season (not to mention Phase 2 of the Marvel Cinematic Universe!)! Below you’ll find our takes on the flick (beware, there will be SPOILERS) with mine first and DStarB’s to follow shortly. For the time being, if you’ve got some time between your Extremis injections, take minute to read our thoughts on Iron Man 3! Join by Owl Post...er, email! Give us your soul, or just email, and take part of the adventure!! Back With A Whole Lotta Bang…..we hope! A Grab Bag of Reviews!!!! the time of the Dragon approaches! !